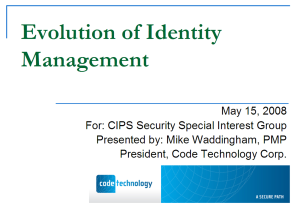 I offered up a presentation on Identity Management to the local CIPS Security Special Interest Group a few weeks back, and yesterday was the day to present. 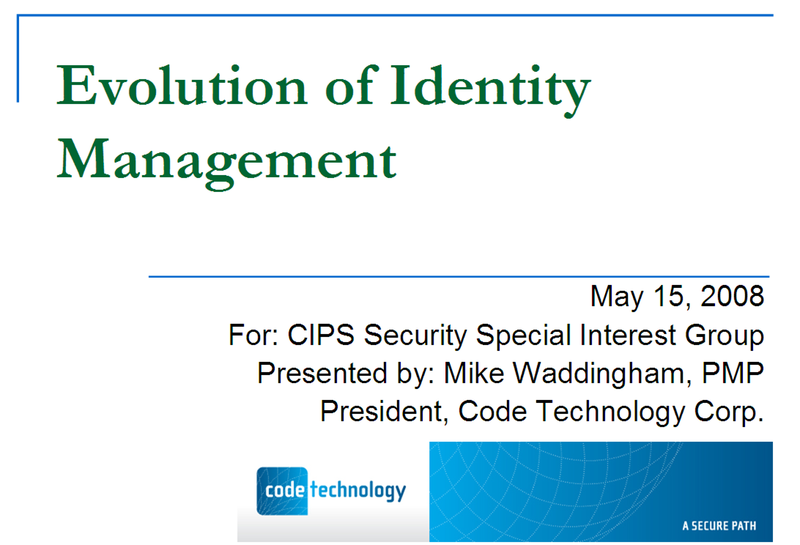 I titled the talk Evolution of Identity Management. The presentation highlights the changes in IdM over the past few decades, from system administrator-controlled centralized systems, to the latest in federated and user-centric models. Many thanks to CIPS Edmonton for inviting me, and an extra-special thanks to my client, Alberta Advanced Education and Technology, for letting me ‘re-cycle’ some slides for inclusion in the talk.